As parishes, cathedrals, abbeys and the like seek to re-enchant their sanctuaries, bringing greater harmony, balance, clarity, noble beauty and noble simplicity back to them -- which, ironically enough, was more often than not better expressed in the traditional Roman arrangement that was so often and so needlessly dispensed with in the 1970's -- it is important to study historical examples so that we might be consciously aware of the various elements that gave them their particular beauty and clarity. 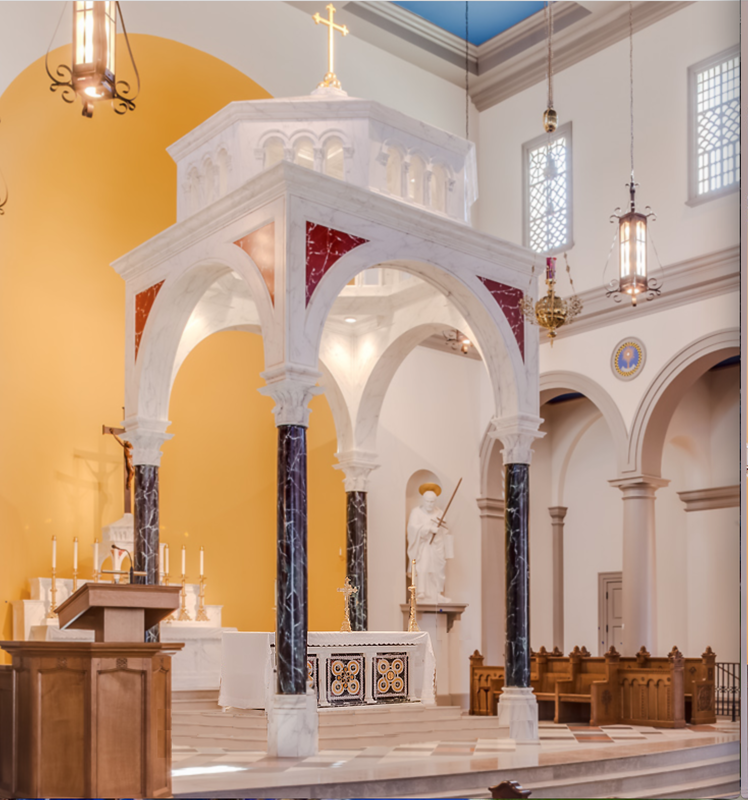 Recently we spoke of the importance of the ciborium magnum, or baldachin, as a means of giving architectural and liturgical prominence to the altar. We have made similar notes with regard to the antependium (or altar frontal) as well as the 'Benedictine arrangement.' Today I would like to turn your attention to another feature, but one which seems to be sorely neglected as parishes restore their altars and sanctuaries -- or even build new one's. That of which I speak is known as the predella -- or what is sometimes simply referred to as the "footpace." It is worth noting that the predella was traditionally required for all altars (see S.R.C. 1265, ad 4) and St. Charles Borromeo certainly considered it important enough that he gave specific instructions for its dimensions in his liturgical directives. 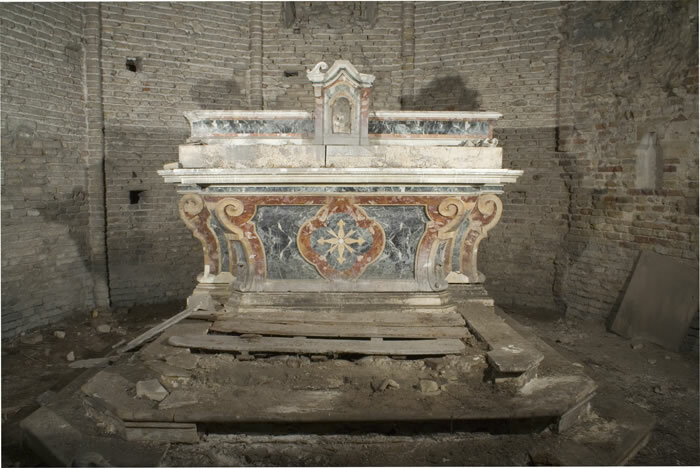 Let us take a look now at a few different altars, all of which are found with the predella. 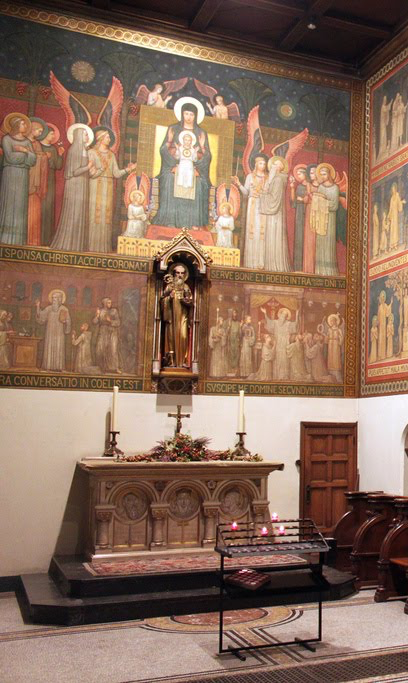 You can see in this example above, which is from St. Andrew's Abbey in Bruges, an altar with ciborium, predella and two additional steps upon which the ciborium is placed. 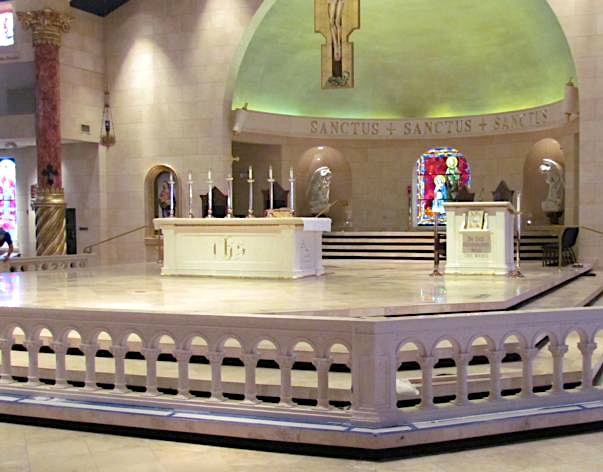 This particular form could be utilized either in a way in which the footpace and steps go around the entire altar, or as seen here in non-freestanding form. What one will see in each of these illustrated instances is how the predella offers a couple of distinct benefits. 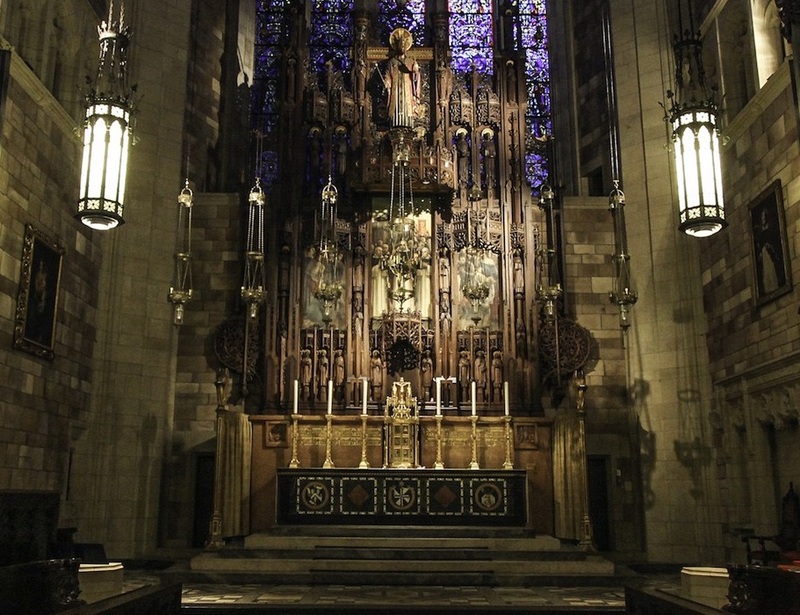 In the first instance, practically speaking, it serves as a place for clergy and servers alike to kneel, whether during the Mass, Benediction or otherwise. This may seem a small point but it is likely one appreciated by clergy and servers alike. 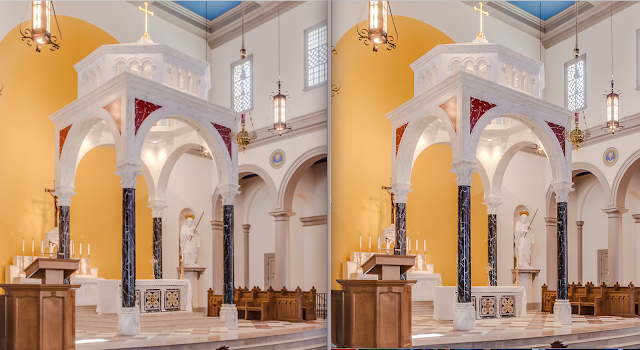 In the second instance, and it is the more important one, as you can see in these illustrations the predella architecturally assists in giving the altar a place of prominence within the sanctuary. 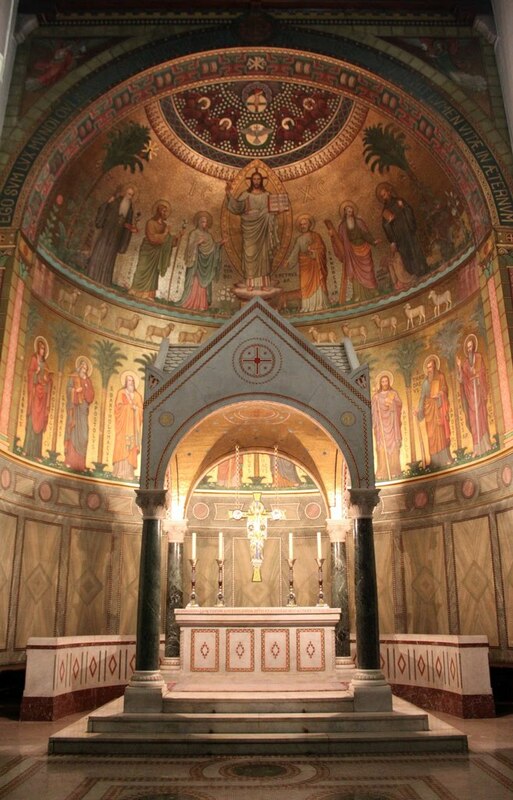 If the sanctuary is set apart from the nave, then the predella (and any additional steps as well) set the altar apart from the rest of the sanctuary. A visual hierarchy is thereby created in which one's attention is drawn to the altar -- precisely where it should be liturgically. This also emphasizes the importance of the liturgical action that takes place at the altar, tying into that narrative of the priest “ascending” to the altar; "going unto the altar of God." This image, literal and figurative, of the priest or bishop ascending to the altar is replete with rich liturgical and theological symbolism and also adds a certain drama and gravitas to the sacred liturgy. St. Anthony's, Bryan, Texas. The altar is quite handsome. But, as noted, without the predella it is left rather orphaned and un-moored within the sanctuary, being of visually no greater importance than any other object found within the sanctuary. 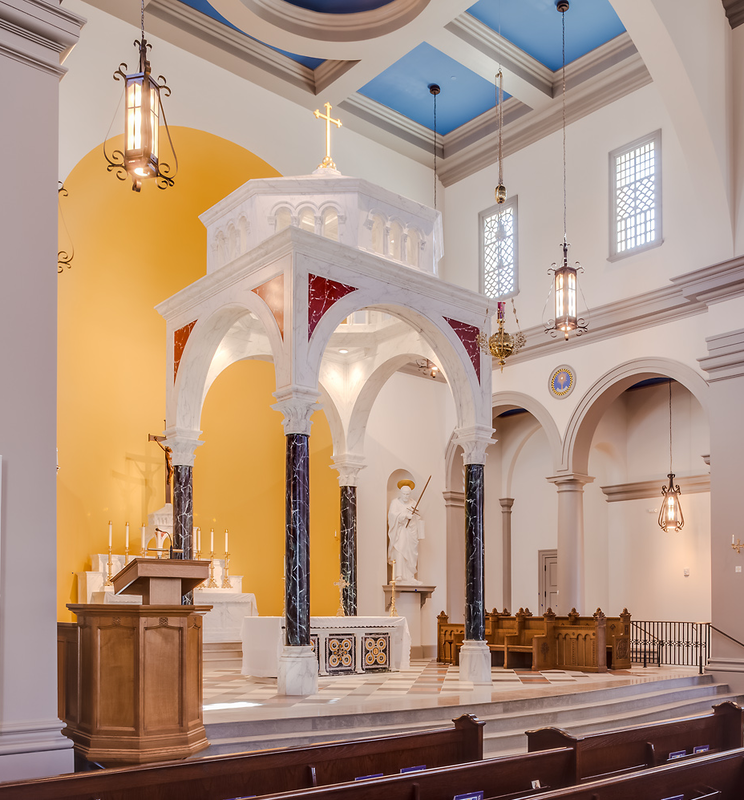 St. Elizabeth Ann Seton, Keller, Texas. The image shows a new altar rail being installed in the parish by King Richard's -- an excellent firm that many of you will no doubt be familiar with already. However, focus here is on the original altar without the predella which, again, comes off in the ways described above. There are a number of beautiful and remarkable details in this church. 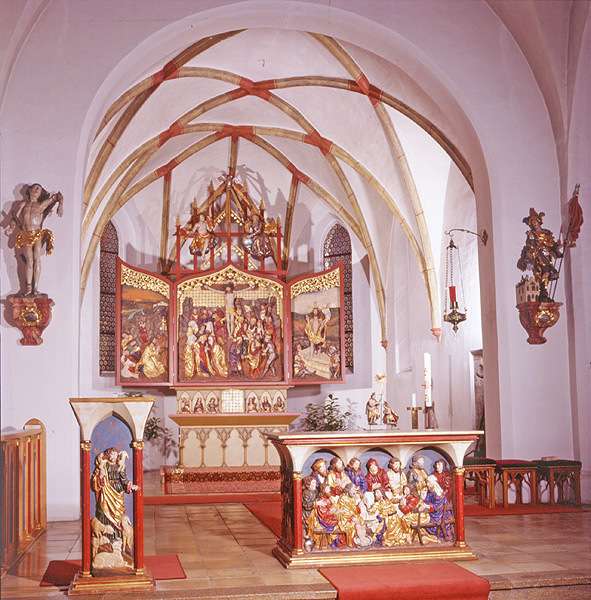 The design of the altar, which was executed by the talented craftsmen at Atelier Wilfried Senoner, is quite impressive taken on its own, but without the predella, the altar seems incomplete. 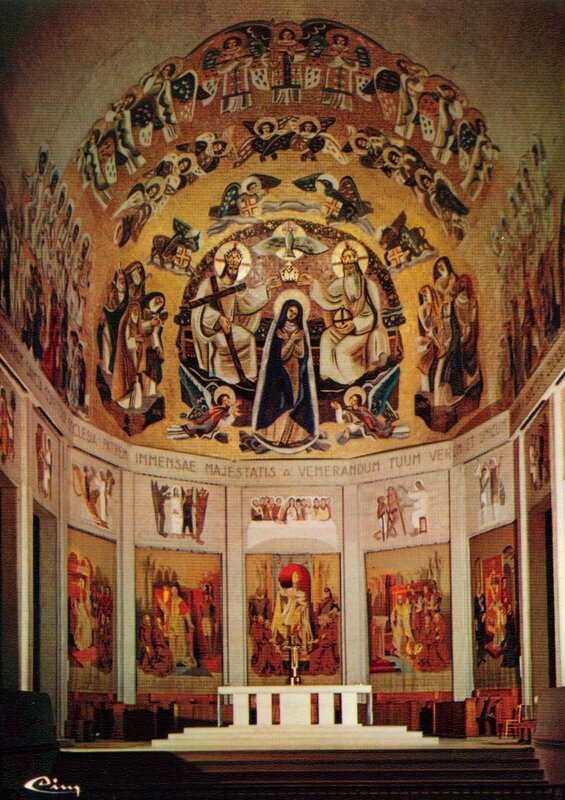 This particular photo provides a good example for comparison between it and the altar with predella seen behind. 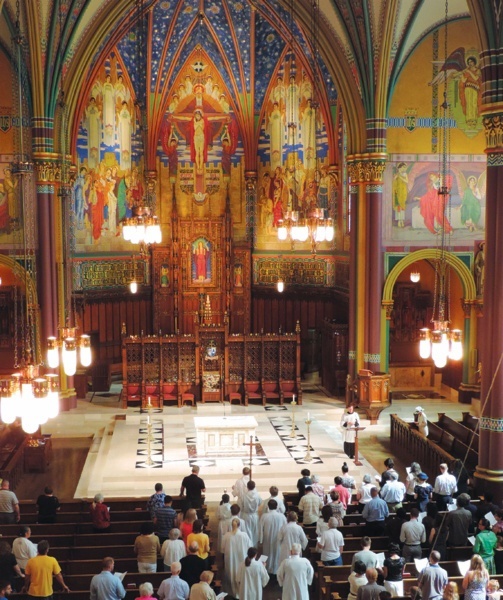 The beautiful Cathedral of the Madeleine, Salt Lake City, Utah. Beautiful, but missing something. If, when you look at each of these examples, you feel there is something missing, you are correct in my estimation. 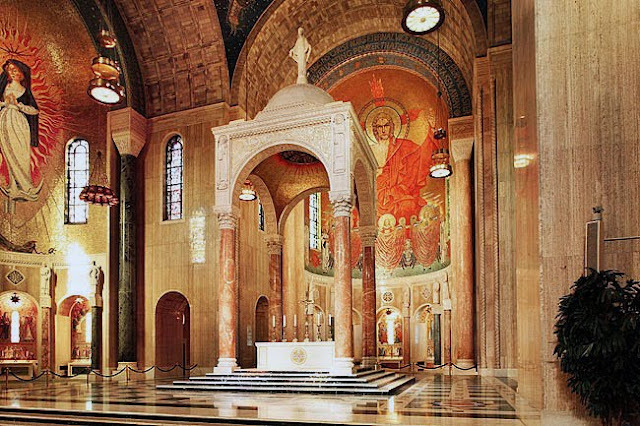 It is missing the predella to anchor the altar and set it hierarchically apart from the rest of the sanctuary. 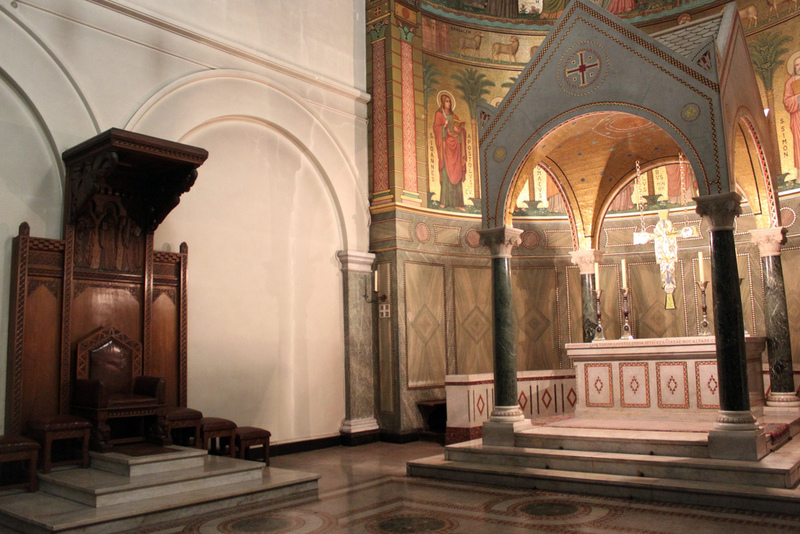 Now you might be tempted to think that if a ciborium were only placed over these altars, or perhaps a reredos behind them, that is what would compensate for the absence of the predella and make all right. While those features would certainly be beneficial taken on their own, they would not, in fact, eliminate the issue of the absence of the predella either practically or visually. We have seen many examples in our modern times of re-constructed sanctuaries which include altars, even with ciboria, but which have not included the predella -- in many instances I believe, because they are likely trying to emphasize the tabernacle behind -- and in each and every instance its absence is always felt in the same way. Left: With predella. Right: Without. As noted at the beginning of this piece, the omission of the predella is quite a common modern trend. These matters can, of course, be driven by various external circumstances; space, cost, the particular desires of clients, a diocese, etc.. Sometimes too they may simply be neglected or felt unimportant. Our goal here is not to criticize, but simply establish awareness of the importance of this architectural feature as a point of principle -- and from there the particular circumstances will need to be factored in for each particular instance. This is only reasonable of course, but if we don't at least start out with the principle in mind, then we may well miss an opportunity, or even work contrary to our own purposes. 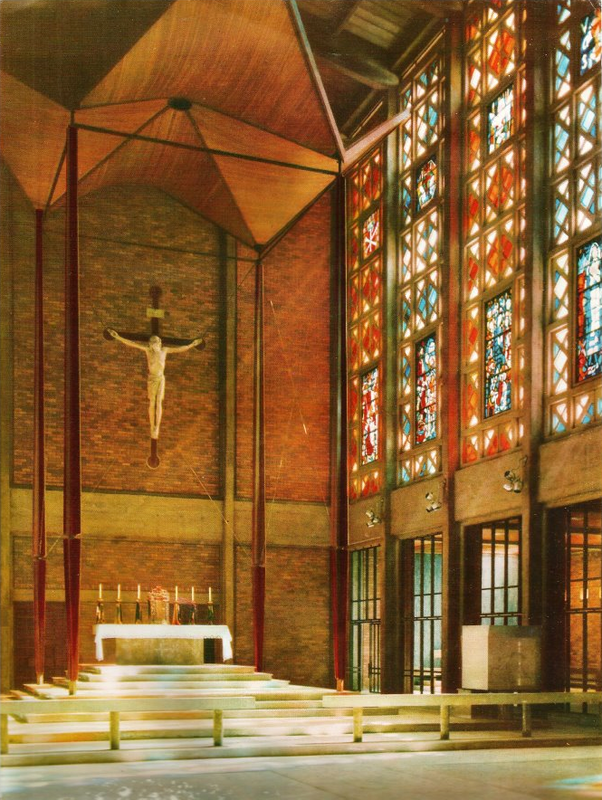 If a recommendation might be made to clergy who are either building new churches or renovating / restoring old one's it might be this: start with the altar and work your way outward. The altar is the central point of the church or chapel; make it your priority in your design considerations and work your way outward from there. Compromises may still need to be made of course, but always try to make them elsewhere with other elements of the sanctuary first; this may not always be possible of course (as the various requirements of the liturgy need to be properly met), but explore that possibility first before moving to the altar itself and its various associated components, such as the predella, the ciborium and so on. My hope is that by showing these examples both with and without, this architectural element, seemingly so minor and yet so very important both liturgically and architecturally, will once again find its place in our minds and ultimately in our sanctuaries -- which is to say, beneath our altars.